Roller Skating is great exercise and fun for all ages. Invite a friend or take the kids to one of these roller skating rinks in the Maryland and Virginia suburbs of Washington, DC. You can enjoy skating indoors year-round in a comfortable space that is not weather dependent. The roller skating rinks offer spaces and amenities for birthday parties and private events. Laurel Roller Skating Center - 9890 Brewers Court, Laurel, Maryland. The skating center offers lessons, party packages, and more. Wheels Skating Center - 1200 Odenton Road, Odenton, Maryland. A new skating rink in Odenton offering indoor speed training, rent inline and quad skates and also allow you to bring your own. Skate Zone - Route 3, South & Capital Raceway Road, Crofton, Maryland. 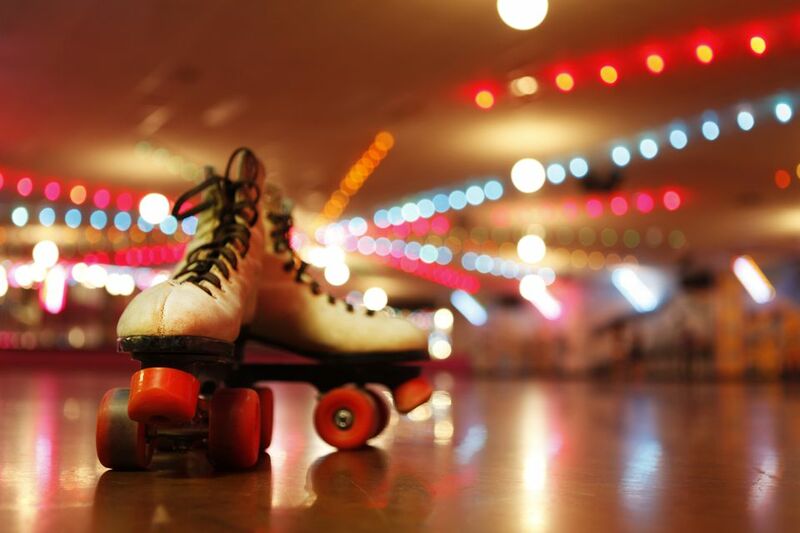 Find a very good sound system and themed music nights in this traditional roller skating rink. Temple Hills Skate Palace - 3132 Branch Avenue, Temple Hills, Maryland. The rink is the largest in the area and conveniently located across from the Naylor Road Metro Station. There is a cafe and arcade, skating specials, and events for kids and adults. Capital Clubhouse - 3033 Waldorf Market Place, Waldorf, Maryland. The recreational facility offers in-line skating and hockey, as well as ice skating, basketball, soccer, lacrosse, and volleyball. Party spaces are available. Summer camps and special programs attract visitors from around the region. Lanham Skate Center - 9901 Lanham Severn Road, Seabrook, Maryland. Lessons and birthday packages available. Special activities include Gospel Night, DJ Night and more. Dulles Sportsplex - 21610 Atlantic Boulevard, Sterling, Virginia. The indoor sports complex has a roller skating rink and is home to roller hockey leagues for all ages. Other activities include soccer, basketball, and lacrosse. Skate N Fun Zone - 7878 Sudley Road, Manassas, Virginia. Kid-friendly roller skating rink with an indoor playground, laser tag, and a climbing wall. Cavalier Family Skating - 1924 Jefferson Davis Highway, Stafford, Virginia. The family-owned skating center offers lessons and its premier space, The Attic, at The Cavalier, for birthday parties, corporate events, and gaming tournaments. Winchester Skating and Family Fun Center - 1629 Berryville Pike, Winchester, Virginia. The roller skating rink is one of the areas largest and specializes in birthday parties, private parties, fundraisers for schools or churches, and even corporate events. In recent years, as inline skates and skateboards have become popular, many parks in the area have built outdoor spaces that are dedicated to the activity.